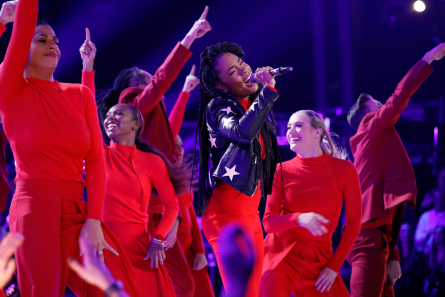 NBC’s “The Voice” wrapped-up it’s 15th season with a spectacular finale show. Monday night’s performances had the Top 4 finalists singing three times for America’s votes. The artists covered a song, sung a duet with their coaches, then sang an original song. 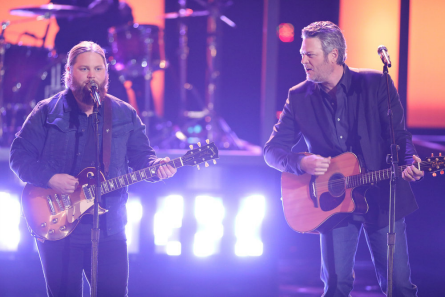 Team Blake’s Chris Kroeze kicked-off Monday night’s show. Two chairs turned for Chris during his Blinds. Blake said he knew Chris was special during the Knockouts when Chris showcased his range. Blake defines Chris as the guy who “gets who his audience is and delivers.” Blake also stated about Chris, “there is no song Chris should be afraid of…this week we’re swinging for the fence.” Chris sang “Sweet Home Alabama” Blake called it the most iconic Country song of all time. Blake said he doesn’t think people have heard Chris sing not quite like he’s going to sing for the finale performance. Kirk said Blake turning his chair during the Blinds changed his whole life. “Defenseless” is Kirk’s original single. Blake said the song is perfect for him and his voice stands out on it. Blake said the lyrics everyone can relate to. Blake thanked Kirk for being the guy that he said he was during the Blinds. Kelly reacted that she loves the 90s vibes and it sounds like Kennedy. It sounded like something she’d do on tour. Jennifer stated that she loves how Kennedy is coming into her artistry and enjoying herself. “It’s so amazing to see your process. It even inspires me.” She said Kennedy takes it a level up. Kirk and Blake sang “You Look So God In Love.” Blake said Kirk can’t help but be Country. Jennifer and Kennedy sang “Home” by Stephanie. Chris’ original single is called “Human.” Blake said he’s jealous of this song and would have wanted this song on his record. The message of this song is perfect right now and something that we should all be paying attention to stated Blake. “There’s no box” that you can put Chris in, said Blake. Jennifer said between him and Kirk she is going to have a playlist of both of them. She said she’ll be at his concert too. Blake said Chris’ voice is truly his own thing. You can’t really put you in one category. To hear it on his original song with so much depth with what it means at a time like this. “That was a hell of a moment for you,” stated Blake. Blake and Chris sang “Two More Bottles of Wine.” Blake said it’s on the edge of rock and Country. Blake said he hit his button because he loves his voice and even though he heard Country, wasn’t sure if that’s the lane Kirk wanted to go. Blake said Kirk is giving it everything he has every time Kirk performs. Blake said Kirk has a real shot at a big career and deserves it. Adam said he counted about 14,000 key changes. It’s a hard song to sing and it’s a testiment to Kirk’s vocal ability. The second Kirk sings, Adam said, he knows it’s Kirk. That’s a vaulabe thing to have as a singer. Coach Blake stated that he agrees with Adam that instantly, you know it’s Kirk when he starts singing. Blake also added that he truly belives in his heart after this “brilliant” performance that we’ll be hearing Kirk on the radio. 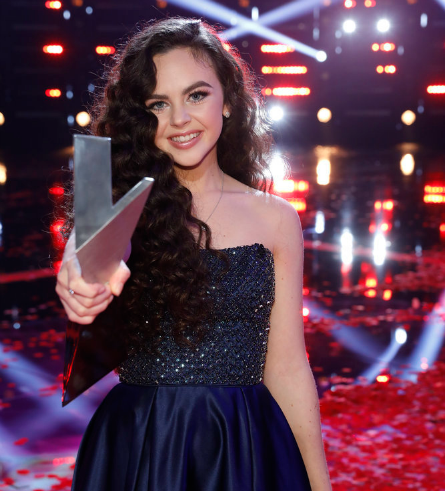 Chevel’s original song “Broken Hearts.” It was Chevel’s first time in a studio. The song is Kelly’s song and she said she almost recorded it but couldn’t make this record. The song needed to “go to someone special.” Then Chevel came along. Kelly said Chevel brings such an innocence to it. “I knew it!” Kelly exclaimed. Adam reacted “you’re still awesome…I love that song.” He said she leads with the music and loves that about her. A great vocal, music..it doesn’t need much. He added that her voice is “instantly identifiable and soulful.” Kelly was crying. Then said she loves the song and knew she would find the perfect home for the song. She said it’s so special and beautiful what Chevel represents – women in Country music. Kennedy got a standing ovation from all the coaches. The room exploded with cheers and aplause from the audience. Daly said “it’s as loud as it’s ever been in this room!” Jennifer reacted “this girl just turned 14 and the youngest in the compeition and that was a true professional right there in every way.” Jennifer complimented Kennedy by exclaiming she thought that Beyonce was up there! 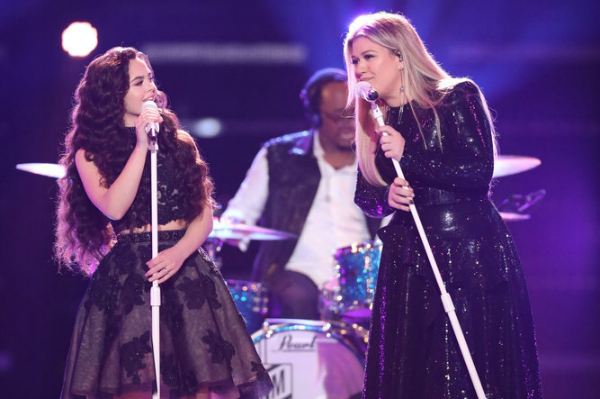 “The Voice” season 15 live finale show revealed which artist received the most votes from Monday night’s show. 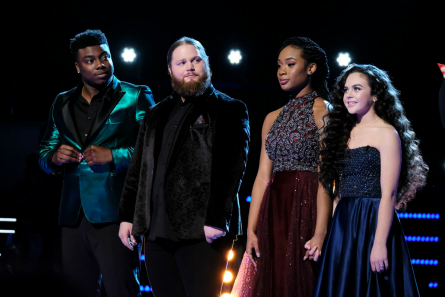 The top four contestants remaining were: Chris Kroeze and Kirk Jay (both from Team Blake), Chevel Shepherd (Team Kelly), and Kennedy Holmes (Team JHud). Before “The Voice” host Carson Daly got to usher-in the new winner of season 15, there was a lot of celebration for a wonderful, and at times, crazy season with a huge list of mega singers pefroming throughout the show. They included: Rascal Flatts, Panic at the Disco, Dierks Bentley, Kelly Rowland, the Doobie Brothers. Halsey, who was one of the advisers this season returned to the show to perform. 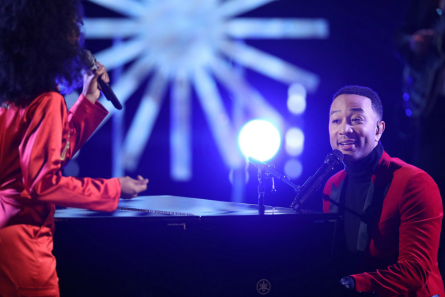 Upcoming coach for season 16 of “The Voice” and taking Jennifer Hudson’s place in the chair, John Legend performed a Christmas song. The Top 4 contestants got to perform with some of their idols. Kirk Jay (Team Blake) performed with Rascal Flatts, Chris Kroeze performed with The Doobie Brothers. Kennedy performed with Kelly Rowland from Destiny’s Child. This was ironic since her coach called her Beyonce after her performance on Monday night. 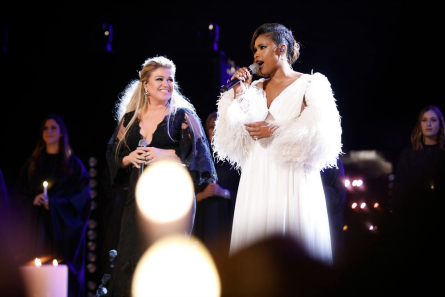 Coaches Kelly Clarkson and Jennifer Hudson commanded the stage, and the audience with “O Holy Night” song. Finally, in the last fourteen minutes of the finale show, Carson Daly brought the Top 4 back out onto the stage to announce which artists would take fourth place, third, second (runner-up), then the winner. Daly asked the artists what they’d like to tell their coaches. Chris Kroeze thanked Blake for helping him be “more interactive with the crowd.” Chris said it was a huge struggle with him and being able to look Carson Daly in the eye (for instance). Then, Carson Daly announced the finalist in fourth place which was Kennedy Holmes. The artist in third place was Kirk Jay. It was down to the final two, Chris Kroeze and Chevel Shepherd.